Chanteur Country US né Wyatt Merle Kilgore, le 9 Août 1934 à Chickasha (Oklahoma). 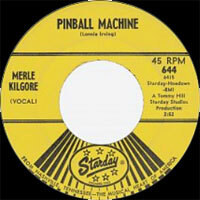 Merle Kilgore a débuté en 1951 et enregistre chez Imperial Records de 1954 à 1958. au début des années soixante , Merle Kilgore travaille dans une radio de Springfield (Missouri). Auteur, compositeur, interprète et performer, Merle, également acteur de Western, est devenu une personnalité estimée dans la Country Music. Il fut un chanteur régulier au Louisiana Hayride (KWKH, Shreveport, Louisiane). 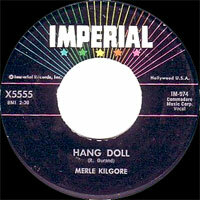 Merle Kilgore est décédé le 6 Février 2005 à Mexico (Mexique). 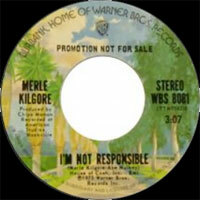 Merle Kilgore had a multi-tiered career in country music as a singer, songwriter, deejay and as the manager of Hank Williams Jr. Born in Chickasha, OK (full name Wyatt Merle Kilgore), and raised in Shreveport, LA, he learned to play guitar at a young age and was working as a disc jockey and musician in his mid-teens. His outgoing personality and musical ability served Kilgore well, and he worked at several stations around the state before joining the Louisiana Hayride as the principal accompanying guitarist. He made the jump to television in 1952 on the Ouachita Valley Jamboree on KFAZ-TV in West Monroe, LA, then debuted on the Grand Ole Opry, and appeared on the Big D Jamboree in Dallas, all in a two-year span from 1952 to 1954, during which period he also completed college. 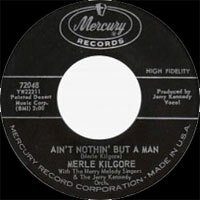 Kilgore was signed to Imperial Records in 1953, and wrote the song "More and More," which was recorded by Web Pierce, Guy Lombardo, and Johnny Duncan, among others, with Pierce's making the number one country single for ten weeks. His own recordings didn't do much, either on Imperial or D Records, but in 1959 Johnny Horton got a Top Ten hit with "Johnny Reb," another Kilgore song. 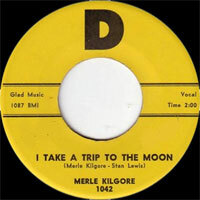 It was only when he signed with Starday Records that Kilgore began generating hit recordings of his own, beginning with "Dear Mama" early in 1960. 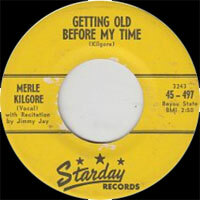 "Love Has Made You Beautiful" and "Gettin' Old Before Your Time" was a double-sided hit, the A-side making the Top Ten. 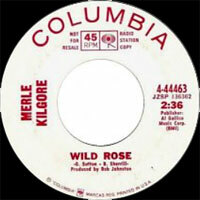 Kilgore joined the Grand Ole Opry in the early '60s, even as other artists -- including Frankie Miller -- continued to generate their own hits with his songs, such as "Baby Rocked Her Dolly." He also appeared regularly on the Big 10 Jamboree and the Riley Springs Jamboree, out of Arkansas and Texas, respectively. 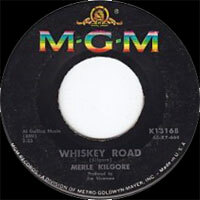 "Wolverton Mountain," authored by Kilgore and his fellow Louisianan Claude King, became one of the biggest hits of Kilgore's songwriting career in King's hands, holding the number one country spot for nine weeks in the early '60s, riding that chart for six months and becoming a Top Ten pop hit as well. In 1962, he also co-wrote "Ring of Fire" with June Carter, which became a major country and pop hit for Johnny Cash. 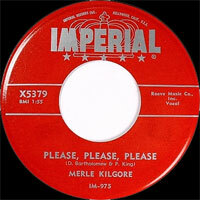 Kilgore even followed Cash's path into the august surroundings of Carnegie Hall in New York for a concert and became a major draw in Las Vegas, while his albums, including There's Gold in Them Thar Hills and Merle Kilgore, kept selling for Starday. By the mid-'60s, he'd jumped to Mercury Records and also into motion pictures, as a singer, doing the title song for the Steve McQueen revenge Western Nevada Smith, and also as an actor in the same movie. He joined Columbia Records in 1967 and did some more onscreen acting in Hewnry Hathaway's Five Card Stud (1967), starring Dean Martin and Robert Mitchum. 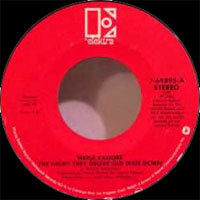 He jumped labels again in 1969 and then in 1973, ending up back on Starday at that time. 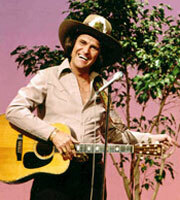 He continued to record into the 1980s and was assisted by Hank Williams Jr. on the album Mr. Garfield. He subsequently began managing Williams. Despite his activities in management, Kilgore continued to perform in his 60s and remained a familiar figure in country music thanks to his songwriting, which kept his name before the listening public even as he moved into other capacities. In 1995, Bear Family released a CD called Teenager's Holiday, made up of Kilgore's classic recordings. And Kilgore's music continued to be covered anew -- in 1998, Van Morrison recorded a version of "More and More" as a duet with Bob Dylan. 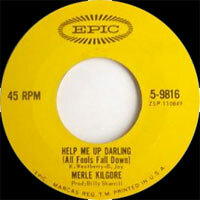 Merle Kilgore passed away February 6, 2005 while receiving treatment for lung cancer. 07/1954 SP IMPERIAL X8256 (US) . 10/1954 SP IMPERIAL X8266 (US) . 09/1959 SP J-I-M 45-808 (US) . 01/1961 SP STARDAY 45-533 (US) . 12/1961 SP MERCURY 71918 (US) . 06/1962 SP MERCURY 71978 (US) . 10/1962 SP MERCURY 72048 (US) . 09/1963 SP STARDAY 45-644 (US) . 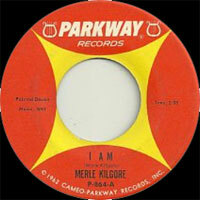 01/1964 SP MGM K 13209 (US) . 12/1964 SP MGM K 13277 (US) . 07/1969 SP ASHLEY A-6 (US) .